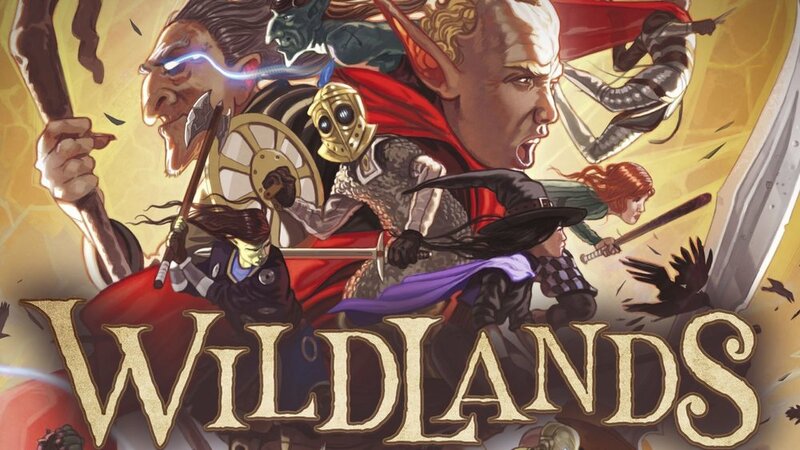 Wildlands is a board game from Martin Wallace that I was recently sent to check out. I was excited to get it and give it a try. I also received the first expansion, Wildlands: The Unquiet Dead, but I will be covering that on its own later. The premise of Wildlands is simple: you have four different factions trying to gather their arcane crystals before the others. Each faction consists of five characters and all actions are dependent on the cards you draw rather than dice. The four factions are the Mage Guild, the Gnomads, the Lawbringers, and the Pit Fighters. Each of these factions has a different spread of cards to give them unique flavors. For example, the Gnomads are great at rallying and basic attacks, while the Lawbringers are a lot more spread out in what they can do with an emphasis on using cover. You can gain points by either collecting the aforementioned crystals or by killing the enemy characters. The overall feel of the game reminded me of Chess, but it feels very different at the same time. We’ll start with the things I didn’t like about the game. First, there are numbered cards used to determine the placement of your pieces and crystals, but the nine and six are nigh impossible to tell apart. You have to pay close attention to the back of the card. What I ended up doing was taking a pen and drawing a line beneath the numbers to indicate the six and the nine. The second complaint is that the board seems too big. In the games I played, it was very easy to ignore the other players and just focus on gathering your crystals. We weren’t forced to interact, except for the Pit Lords who seem to be better at killing things than getting crystals. The large board and semi-limited movement made it really hard to stop the opponents from getting their crystals. I know that’s why they randomize the placement of characters and crystals, but if you get a bad shuffle (or good depending on how you see it), then there’s a good chance that everything comes down to the draw of the cards instead of actually needing to outthink your opponent(s). A smaller board would also greatly improve a two-player game where the board feels especially giant. Speaking of playing this game with only two people, it does work, but in addition to a large board, the factions can seem slightly imbalanced in a two-player game, especially when you haven’t played too much. Let’s switch over to being positive. Wildlands is beautiful. The art on the box, rule book, and cards is fantastic. Alyn Spiller and Yann Tisseron did a fantastic job. After opening the box, the first thing that popped out at me was how amazing the miniatures look. They are highly detailed, and I wish they were pre-painted since I don’t know that I could do them justice. Having the miniatures painted would also greatly help players differentiate between some characters that look remarkably similar until you look at them closely. In addition to great detail though, the characters are not designated specific colors, which allows people to be their favorite color and their favorite faction every time. Another great thing is how simple the rules are. It sounds a little complicated at first as you go through the rules, but once you start playing it works out to be quite simple. While each card only provides one action, each card has a unique set of actions for you to choose from. This helps provide plenty of freedom as you go about planning your strategy and is especially helpful when everything goes wrong and you have to adapt your strategy. This lends itself to a great deepness to it for players who like to dig. The spices of the different factions, the simple rules, the adaptability of strategy, and the randomization of characters and crystals really provide a great foundation for deeper playstyles. Wildlands is a beautiful game with plenty of depth. It is not without its problems but is well worth it if you enjoy strategy games. You can purchase it now on Amazon or head over to Osprey Games’ website to learn more. I’ve even included a video that walks you through how to play below.